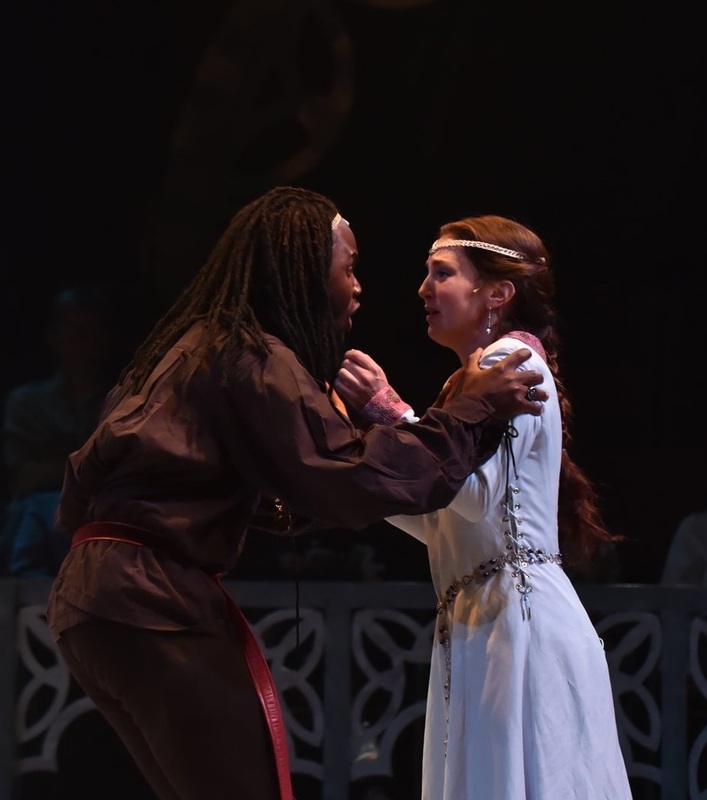 “Susan Maris, who portrays Ophelia (Hamlet's love interest), shines in her final moments on stage as she slips quickly into her own weary troubles.” Full BWW article here. “Elvira has never quite figured out how to manage death, and this is by all accounts her first visit back to this side of existence, so she's determined to have as much fun as she can. Maris never seems to stop moving -- she's even a swaying fount of kinetic energy when not the scene's focal point -- showing Elvira charmed to no end with her ability to disrupt life of the living. This mischievous Elvira captures the heart of Coward's work: impish, witty and increasingly self-aware of being trapped in the same ridiculous world it loves to mock.” Full NJ.com here. "...it says something about their skills — and about the production — that I wouldn’t mind attending again later to see how they would settle into their characters. (I well remember Ms. Maris’s wonderful turn in “Love’s Labour’s Lost” by the Shakespeare Theater of New Jersey last summer.)" Ken Jaworowski, The New York Times. "There's fine acting by Maris..." Simon Saltzman, Curtain Up. "Range is the mark of great acting. We first saw Susan Maris at NJ Rep in The Substance of Bliss, where she played a troubled suburban housewife concerned about things that could not be fixed, unlike Vera, intent to find meaning and harmony across time." Raphael Badagliacca, Front Row Center. "Ms. Maris and Mr. Jacoby are especially capable, and impeccably paired as the story’s central couple. An early speech in which she recounts Berowne’s reputation is enchantingly delivered with starry eyes, while his later discourse on falling in love is a delight." Ken Jaworowski, The New York Times. Full review here. "...Susan Maris is an appealing Hero..." Michael Sommers, The New York Times. Full review here. "Eva (the charismatic Susan Maris)...Maris conveys Eva’s masterful manipulations with her own brilliant emotional fluidity, clouding over instantly as something disturbs her gleeful, pixie-like front before sulking or bursting into tears." Ronni Reich, The Star-Ledger. The New York Times had nice things to say about THE SUBSTANCE OF BLISS. Read review HERE. Check out other reviews for THE SUBSTANCE OF BLISS.